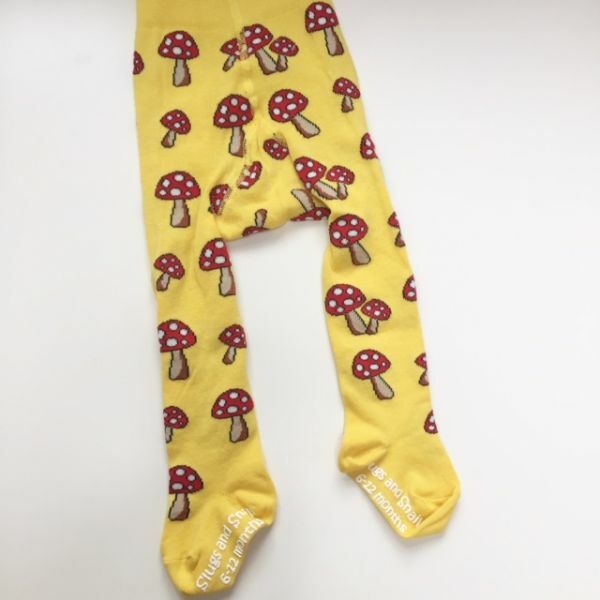 The most eye popping design yet with bright yellow background and beautiful timeless toadstools you can be sure these tights will always make you smile! •Unique embroidered logo on the back panel makes wearing Slugs & Snails without trousers even more funky! •Packed into Slugs & Snails boxes, perfect for gifts.